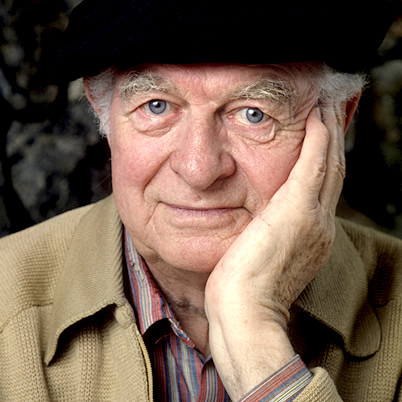 Vitamin C is a highly advocated by many nutritionists and researchers, including Nobel laureate Linus Pauling, Ph.D., as an important nutrient necessary for human life. While most animals produce their own vitamin C, humans, primates, bats, guinea pigs and birds are some of the few animals have lost this ability. Since this vitamin cannot be produced or stored by our body we need a continuous supply of such vitamins in your diet. Structures that contain fat (like the lipoprotein molecules that carry fat around our body) are particularly dependent on Vitamin C for protection. As a powerful antioxidant vitamin C is necessary for strengthening blood vessels therefore cardiovascular diseases can be associated with deficiency of this vitamin in the body. More studies support the proposition that atherosclerosis is a disease that appears to be initiated by a deficiency of vitamin C in the innermost lining of the arteries. It was observed that blood vessels’ cells are surrounded by an intercellular glue known as ground substance which are composed of glycoproteins. Vitamin C is essential for maintaining the integrity of the glycoprotein-containing ground substance. The first step of atherosclerosis takes place when the intercellular glue becomes watery state because of lack of vitamin C. Another important point is that all layers of arterial walls require formation and maintenance of collagen. Vitamin C is absolutely essential for the normal formation of collagen throughout our body. Studies shown that higher blood level of vitamin C are clearly related to lower blood pressure in humans. Vitamin C remains the most powerful reducing agent (antioxidant) which neutralises a free radical presence known as oxidative stress. Although other antioxidants can also combat oxidative stress, they would never be completely effective if there is vitamin C deficiency. For example, when researchers looked at the combined effects of vitamins C and E, they concluded that vitamin E can be effective against atherosclerosis only in combination with vitamin C.
Vitamin C is also powerful vasodilator – it helps activating and releasing the nitric oxide in artery walls. In addition, Vitamin C prevents plaque rapture by spurring and repair of collagen that keeps plague from fragmenting and creating hazardous blood clots. Human cells contain two important water soluble antioxidants: vitamin C and the tripeptide glutathione. Vitamin C plays an important physiological role in cells as an antioxidant (free radical scavenger) and enzyme cofactor. Glutathione is the most abundant non-protein thiol in mammalian cells. It participates in multiple functions of cells (acting as an antioxidant) and is involved in the metabolism and detoxification of xenobiotics. Vitamin C protects endothelial cells from oxidative stress by neutralizing the effects of oxidative species and decreasing blood cell-endothelial cell interactions, while glutathione modulates the redox properties of vitamin C in endothelial cells. Clinical studies have revealed that vitamin C can reverse endothelial dysfunction under different pathological conditions such as hypercholesterolemia, hypertension, smoking, diabetes, and atherosclerosis. Although a functional relationship and interdependence between glutathione and vitamin C has been clearly established, there is little knowledge about how they actually cooperate in providing human cells with potent antioxidant defence as well as to which degree this cooperation is affected by their different metabolism. Moreover, all human cells possess the capacity to synthesize glutathione from its constitutive amino acids, while humans are one of the few species that lack the capacity to synthesize vitamin C and get it from the diet. Vitamin C (known as ascorbic acid) is a water-soluble vitamin that is necessary for normal growth and repair of tissues, including blood vessels, and for proper functioning of our immune system. Vitamin C serves a predominantly protective role in the body. Since the 1700’s, this vitamin C was referred to as the “antiscorbutic factor” because it helped prevent the disease called scurvy. However, the protective property of Vitamin C offers more than just healthy skin and gums. Studies have shown that protective effect of Vitamin C because is based on its functioning as an antioxidant and preventing oxygen-based damage to our cells. Structures that contain fat (like the lipoprotein molecules that carry fat around our body) are particularly dependent on Vitamin C for protection. As a powerful antioxidant vitamin C is necessary for strengthening blood vessels therefore cardiovascular diseases can be associated with deficiency of this vitamin in the body. Cancers, joint diseases and cataracts can also be prevented by optimal intake of vitamin C.